I was nervous. Not just my standard pre-presentation jitters. My stomach had been churning since the day before. My palms were sweaty. I felt tears welling up in my eyes before this speech. It was so unlike me, but this speech was big time important. I felt the weight of this presentation bearing down on me like some Noreaster blizzard. As I took the stage, I scanned the audience and that's when I saw him. He was leaning forward and smiling at me like he just KNEW I had something important to say. Like I had the best message in the world and he was just dying to hear. As my eyes connected with his, I could feel the corners of my mouth curl into a big, broad smile. My nerves settled down, and his kind eyes told me that I was going to rock this presentation. Even though I was a complete stranger to him, he knew my speaking success was assured. Every speaker needs a SAM (it doesn't matter if you're nerves are on high alert or you feel calm, cool and collected). A SAM practically guarantees that you'll up your speaking game. SAM lets you know it's all going to be ok. In fact, it's going to be far better than ok. SAM thinks you'll rock it. Too many speakers sprint on the stage and begin their presentation. To find your SAM, confidently step to the front of the room, scan the audience and take a deep breath. Not only will this help your locate SAM, but you'll feel more calm, confident and won't start your presentation out of breath. Leaning forward – practically on the edge of their seat. Making eye contact with you (instead of looking at their phone or chatting with their buddy). He or she just glows kindness (Yep, that's abstract, but you know that face when you see it). Most audiences have at least one SAM! If not move to step 3 (your very own backup plan). If you think the audience is going to be a tough crowd, create your own SAM. Show up to the event early and mingle. The audience members you meet and chat with will be excited to see you on that stage. Or plant a SAM in the audience. Tell a trusted friend or colleague that you're feeling a bit stressed about this presentation. Ask them to make eye contact with you and smile before you start. 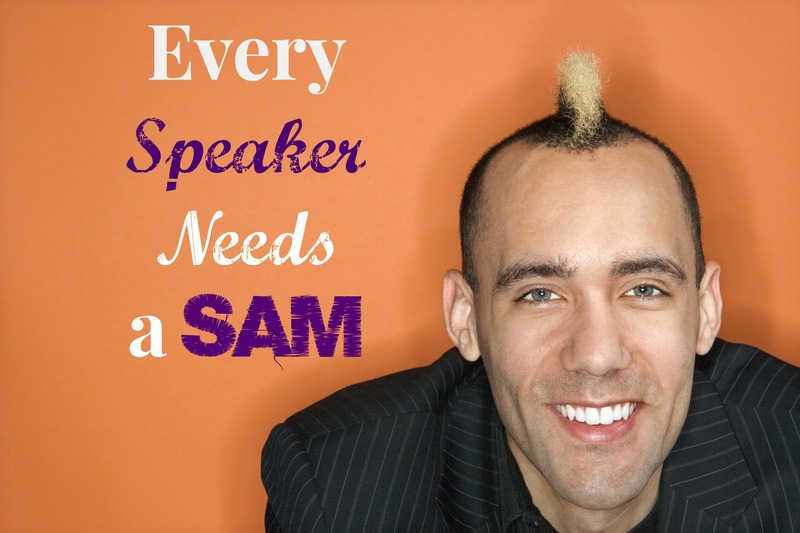 SAMs are crucial for speakers, so what I would love for you to do is to show up at every presentation prepared to be a SAM for the speaker. Be the person who is eager, smiling and already engaged before the presenter even utters one word. 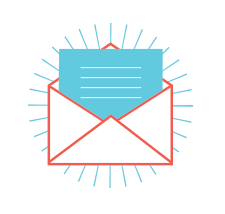 Go out there and be a Spectacular Audience Member – your speaker will thank you!